Florian said: "I would like to introduce "Mundo Azul", a new bookstore in Berlin, Germany which specializes in foreign children's literature. The shop is located in Prenzlauer Berg, which represents the multicultural and multilingual area of the new and former "East" Berlin district. The store has been started by an Argentine teacher and mother of bilingually raised children. She originally started importing South American children's books for her own kids. Later, she combined her experience and passion for children's literature and so decided to open a bookshop for foreign families living in Berlin. 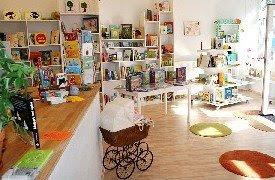 Now, Mundo Azul supplies many bilingual families, kindergartens and schools in Berlin with books in English, Spanish, French and other languages." Prenzlauer Berg in Berlin really seems like the right setting for this unique multilingual children's bookstore. Mariela Nagle, the Argentinian owner of this bookstore has decided use her own experience with raising a child in a bilingual family and help other families to make the best of this experience. And so, in the summer of 2008, Mundo Azul ("Blue World" in Spanish) - a bookstore with a very specific mission opened its door to the first customers. Since Mundo Azul aspires to play an even more important role in the life of bilingual families living in Berlin, it also organizes readings, workshops and other events in different languages for bilingual children of all age groups. The list of the upcoming events can be found on the bookstore's website. The offer of this bookstore covers titles for kids and youth up to the age of 15. 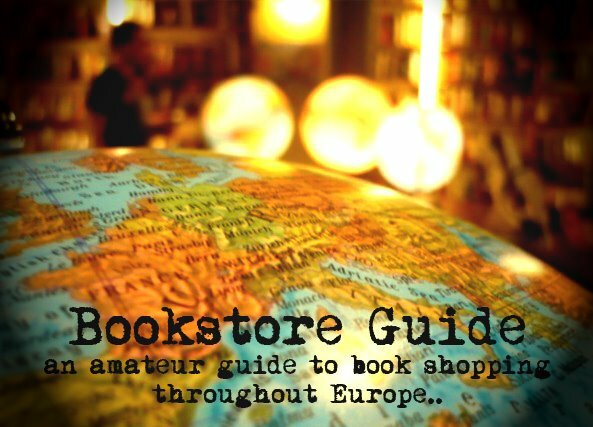 Besides the original imported titles from the UK, the bookstore also replenishes its stock with books from South America, Spain, Italy or France. It's also important to note that the stock of Mundo Azul is mainly made of titles from independent publishing houses. We can only emphasize that every major city deserves to have a bookstore of this kind, especially since it would be highly appreciated by the local expat community.